Customers have trusted Micropump's leak-free magnetic drive pump technology and engineering expertise in the fluid handling industry for more than 40 years. Are you searching for the right pump and engineering expertise? Micropump is the leader in sealless, low flow pumps and innovative pumping systems, offering standard models, configure-to-order options and custom OEM configurations. Looking to Optimize Your Fluid Handling System? 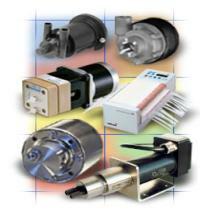 Micropump's , , , , and offer high reliability. View our quick hit summary chart of with advantages and disadvantages. Check our and learn how we've helped others on our page.